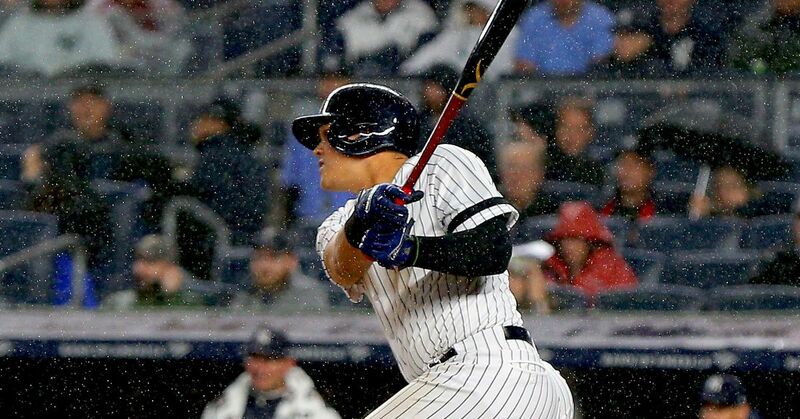 There is not much going wrong for the New York Yankees, after sweeping the Minnesota Twins easily to advance to the ALCS. However it happened, this is not the same team who finished off 2010 regular season barely breathing. Resembling championship form almost overnight has caused rumors to swirl for the sudden upgraded play. Maybe it’s just pure postseason rush? Possibly. Imagine getting a step closer to the World Series as a player. It’s inevitable that you acquire some adrenaline from winning. Also, it could have been a contrived plan to lose the division. Any team without Cliff Lee is a better option and an easier opponent, particularly in the postseason. Everyone knows the Yankee captain (Derek Jeter) can act to win so why wouldn’t the team lose a few to defend their crown? Looking at the bigger picture it makes sense. Struggling and after spending months on the DL was not the Andy Pettitte who looked great in Game 2 of the ALDS. It was the southpaw at his best. Followed that outing was Phil Hughes, who was even better and during the team’s September slump Hughes only came out of the bullpen. Maybe Hughes hasn’t learned to fake being bad as well. In turn Yankees can blame it on the ‘Hughes Rules’ also known as Hughes’ innings limit. Hughes is 90+ innings over that limit and that was before his ALDS start so it would be presumed that he was not getting pampered months ago. Nice try with that one. Could it be possible that all the fuss to win the AL East was BS, and the Yankees had no intention to go that route? It makes sense for any team to try and avoid having to face Lee twice in a five game series because odds are you will lose the short series. This is not fate but the reality facing the Tampa Bay Rays on Tuesday night, where Lee holds the destiny of the game on the mound. If Lee were going to get hit, the best team with the odds to beat him would be the Rays because they have done it all season. Not just once this season, but all three times the Rays made the great Lee into a loser. Lee gave up 15 hits, 12 earned runs, two walks and 25 strikeouts in the three losses against Tampa Bay. In Lee’s six postseason starts he has a 1.52 ERA, given up just 11 hits, eight earned runs, six walks, 43 strikeouts and one home run over 47.1 innings. He still has not lost in October, making the reasons to steer clear more obvious. Postseason Lee has yet to fail. His last victims were the Rays; in their own house just four games ago. Tuesday night will be different because the Rays are hot again and this will make Lee’s night not an easy one, but the Rays bats will have to be perfect. Kind of makes sense for the Yankees to lose the division on purpose, even if they never admit to it.